After kindy, I also teach English to children aged from 6-12 years for 50 minute lessons. Each class has a textbook that usually briefly touches on a particular aspect of grammar, which I then try to create a game to review this learning in the future. Recently we have been learning about past tense verbs/processes, mostly actions. I originally intended the game to be played like Go Fish, with the students asking for the matching word (written in red on the bottom of the card). 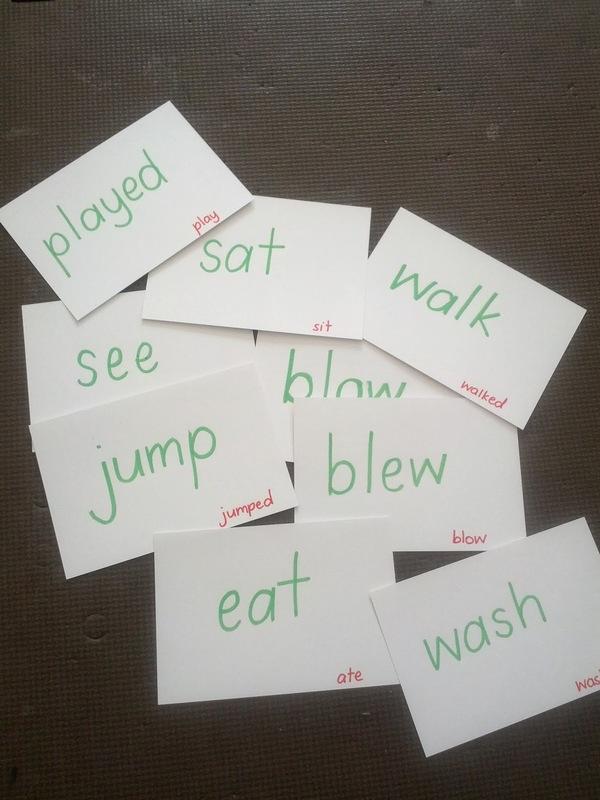 I have also used them like a memory game and flashcards e.g students call out "walked" when I hold up the card 'walk'. I sometimes give a counter to the students who can say the correct word first and it becomes a competition.